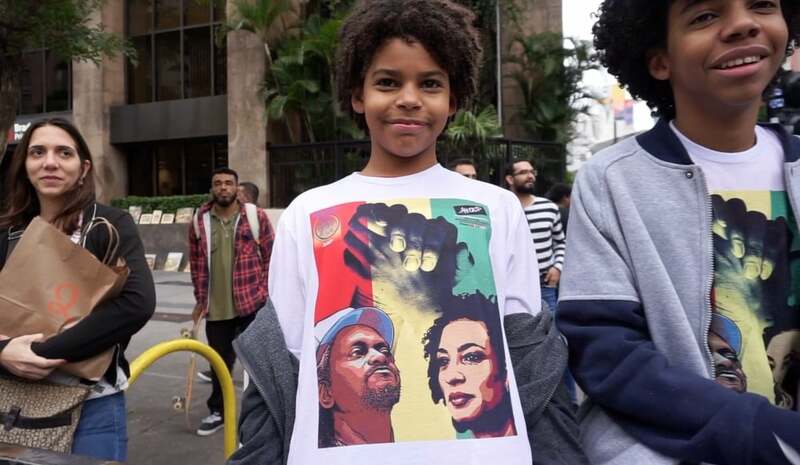 It’s been ten months since Rio de Janeiro City Council member Marielle Franco was assassinated by a gunman in an attack that also claimed the life of her driver, Anderson Gomes. Now witnesses are coming forward to say that a crooked cop may be behind her untimely death. According to The Intercept, six witnesses have come forward and identified a former officer in the police’s special operations unit as the possible gunman in Franco’s murder. The man in question had previously been expelled from Rio’s Military Police force due to questionable ties to the city’s main organized crime syndicates and is alleged to have since become a full-time hit man for dirty politicians and illegal gambling rings. Although the Brazilian news channel Globo TV first broke the story last November, a state judge has issued a gag order prohibiting Globo from publishing or reporting any further details from the police report that they obtained from a source. Due to the sensitivity of the ongoing homicide investigation, and the international attention that the death of the left wing rising star has garnered, The Intercept has also decided not to disclose the suspect’s name. Franco, who was known for regularly speaking out against police violence and corruption in her city, was being driven home from an event on the evening of March 14, 2018, when a car pulled up alongside hers and sprayed the vehicle with automatic gunfire. The 38-year-old politician and her driver died instantly. And the carefully planned out hit took place in a location where surveillance cameras at a nearby metro station had been switched off prior to the attack, suggesting powerful forces were behind the strategic and sophisticated assassination. In the days following the shocking murder, tens of thousands of mourners flooded the streets of Rio, other cities across the country, and around the world, as a show of solidarity. The ferocity of the public outcry across the globe is ultimately what pressured authorities to prioritize the investigation and double down on efforts to unmask those involved in not only the execution but also the planning of the attack. In addition, to witness claims that the hitman didn’t act alone, police also noted in their report that they too believe that at least two other former special operations officers from the same force — the Batalhão de Operações Policiais Especiais, known as BOPE — were involved in the the plot to take Franco’s life.